Owning a pregnant mare can be an exciting time, but when your mare is essentially eating for two, nutrition is key. Your mare will have her own nutrient requirements, but you also need to add to that the requirements of the growing foal she is carrying. The right nutrition to support foal growth and development throughout pregnancy is important but it’s especially critical during the last three months or last ‘trimester’, when most of the foal’s development occurs. Follow these essential guidelines to ensure you provide your mare with the best nutrition and management for a healthy, well-developed foal. Until the last trimester of pregnancy, your mare doesn’t need extra energy, only enough to maintain body condition, but she does need essential vitamins and minerals. Minerals such as copper and zinc and vitamins A and D are crucial for the development of the foal’s organs and connective tissue. Calcium and phosphorus for example, are required for bone growth and development. Good levels of Vitamin E are essential to support foal immunity and fresh grass provides a natural source. In winter when your mare is fed conserved forage, then vitamin E needs to be supplied through a good balancer or fortified feed fed at the recommended levels. Selenium is also important as it is important for musculoskeletal development and works with Vitamin E as an antioxidant. Most vitamin and minerals requirements are elevated above normal maintenance throughout pregnancy, but certain minerals like calcium, phosphorus, copper and iodine are required in increased levels during the final trimester. 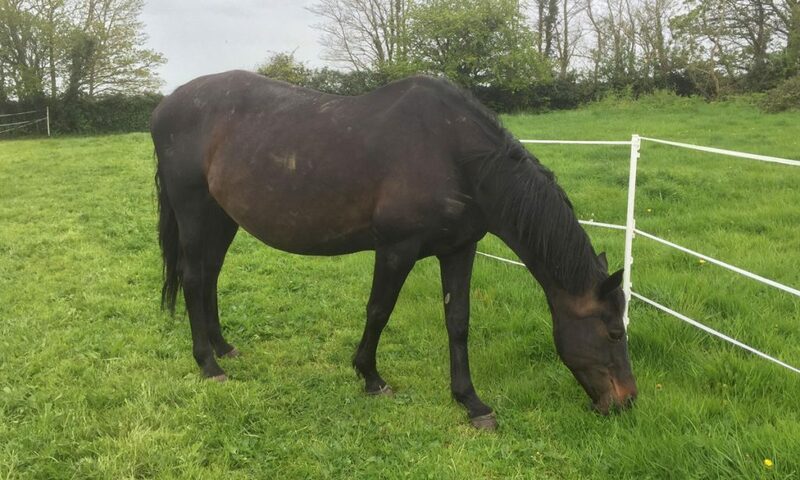 A high specification, nutritious balancer, and in the later stages of pregnancy, a specifically fortified stud feed, should help provide all she needs for healthy foal growth and development. Protein is an important constituent of body tissues, from hooves to skin, so it’s easy to see why requirements would increase during pregnancy. Protein needs increase from the 5th month of gestation and continue to increase until birth. Protein is made from amino acids, one of which, Lysine, is particularly important and can often be lacking in UK forage such as hay. Protein quality is key, and the level of lysine is an indicator of better protein quality. Easily digestible sources of protein with a good amino acid profile, including good levels of lysine, such as soya and linseed are, therefore, essential. Quality protein can be supplied through a high specification, nutritious balancer or a fully fortified feed during the later stages of gestation. Energy requirements increase significantly above maintenance in the last trimester (up to about 104 MJ/day) but it’s important to be aware that until then a mare’s energy needs are no different to a non-pregnant mare. Although energy requirements increase in the last trimester, the increasing size of the uterus means the gut capacity of the mare decreases, which reduces feed intake, so meals need to be kept small. Forage should form most of the diet, with grass making a significant contribution to energy requirements during spring and summer. Highly digestible fibre like sugar beet and soya hulls can help provide additional energy when needed. Energy-dense oil-rich feeds like linseed and soya are great because they can be fed in smaller amounts to allow for decreased gut capacity, but still meet energy needs. Cereals can be useful to provide a denser form of energy but ideally they should be kept to a minimum. 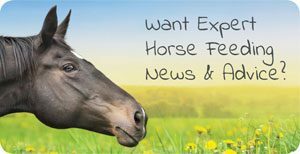 Research has shown that feeding significant amounts of cereals to the mare will have an impact on the foal including changes in glucose tolerance and insulin sensitivity. Feeds containing a good blend of energy sources from fibre and oil and lower levels of cereals are the ideal choice to meet your mare’s needs. Omega 3 fatty acids are considered important for foetus development and colostrum antibody transfer. 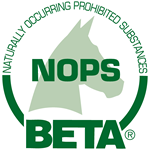 Recent research has shown that adding omega 3 from late gestation to early lactation improved learning and memory ability and performance on learning tasks in foals and weanlings. Linseed meal is rich in omega 3 fatty acids and may, therefore, be a beneficial addition to a pregnant mare’s diet. Forage is the most important part of the diet and should meet energy and protein needs of most mares in the earlier stages of gestation if fed in adequate amounts of around 10-12kg for a 500kg mare. A high specification balancer such as Smart Balance can then be fed to supply optimal micronutrients. During the last three months of gestation, forage can be fed at a rate of 8-10kg and feedstuffs such as highly digestible fibre like sugar beet, and linseed meal (up to around 2kg) can be added to meet the increased energy requirements for the last trimester. If your mare needs a compound feed to help maintain body condition in early gestation, an appropriate feed to support this can be fed alongside 10kg forage for a 500kg mare. In the last three months of gestation forage should be fed at 8-10kg per day and a specifically formulated stud feed such as Stud & Breeding Mix or Cubes (up to around 2kg/day) introduced to supply the extra energy and protein the mare needs to support the foal. Providing your mare with the correct balance of nutrients to support optimal growth and development in her foal means you can look forward to the arrival knowing you have given them the best possible start. If you have any questions about how to create the best diet for your mare and foal, or any other horse, you can contact our nutritionist Lisa at theteam@castlehorsefeeds.com or call 01497 570345.